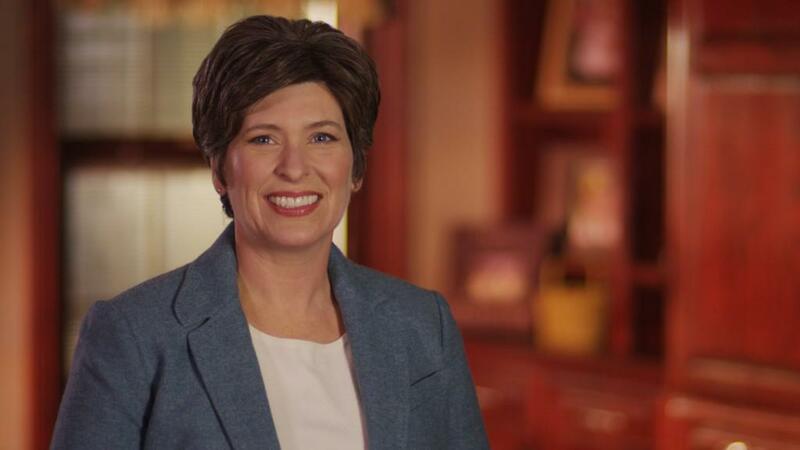 Read this candidate profile of Republican U.S. Senate candidate Joni Ernst. She was interviewed as part of IPR's 2014 Primary Voter Guide series. Give an example of an experience you have had that you believe has prepared you to be a U.S. Senator. Many different examples. First, I have served overseas during a time of combat. I served as a company commander for a transportation company, 150 soldiers, overseas and deployed in Iraq from 2003 to 2004. Having that military leadership experience and having to make decisions on my feet when it is very curious matters – obviously, safety issues, logistical concerns – I think that makes a very well prepared candidate for United States Senate. I can also cite examples in county leadership as an auditor; managing the county finances, making sure the budget is in remit, as well as working in the state legislature and working with many different people on different types of projects. What is the one thing you can do in the Senate to help create jobs in Iowa? What we can do in the Senate is get the government out of the way. The government should be promoting an environment that promotes job growth, not actually creating jobs. There are several ways we can do that. First, repealing and replacing Bruce Braley’s Obamacare with common sense free market solutions. The second is immediately lowering taxes for hard-working Americans. And, in the long-term, working to scrap the current decptional tax code and replace it with something that’s fairer, flatter, and simpler. If we do that, I guarantee the economy will boom. Lastly, one thing that government can do to create a positive environment for job growth is getting rid of rules and regulations that kill jobs. In March an Iowa poll showed 65% of those polled in Iowa support an increase in the minimum wage. Would you support a minimum wage increase? I do not support a federal minimum wage. Every state has a different economy, different cost of living. I don’t believe that’s the role of the federal government. The proposed changes to the renewable fuel standard seem to signal that the administration may move away from grain-based alternatives to conventional fuels. What would you do in Washington to work in a bipartisan manner on the energy policy that would benefit Iowans and still have national appeal? As the only rural candidate in this race, the members of Iowa’s agricultural community are more to me than just parts of our state’s economy. They are my neighbors, friends, and family. This particular issue is of great significance to me personally. I don’t believe that the government should be picking winners and losers. Bottom line, I am philosophically opposed to taxpayer subsidies. If we are going to end them, it must be done across the board, every sector at the same time. Until that day comes, I am going to continue to stand in defense of the renewable standard and related programs. I would work in bipartisan fashion to make sure that we maintain that renewable fuel standard and make sure that subsidies go away. The U.S. House has had dozens of votes to repeal, defund, or otherwise dismantle the Affordable Care Act. President Obama will not sign legislation repealing, dismantling, or defunding this legislation, but the law remains unpopular. What are your ideas for revising the Affordable Care Act? I think it’s a bad bill period. I think that we do need to repeal, defund, and get rid of it. I know our president won’t sign it now, but I can tell you that we need to work in that direction and replace it with something that is a common sense free market solution. If we start looking at alternatives now and put those in place when we can repeal the law, we will be that much better off as Americans. Some of those plans could be selling insurance over state lines, creating competition for the market. Another is to allow tax credits for those that privately purchase insurance. We can allow small business to self insure. We already allow big businesses to do that. We absolutely need to encourage tort reform – too much lawsuit abuse out there. And health and wellness, we need to make sure we are preventing debilitative diseases early on so that they’re not costly in the long run. There are a lot of different things that we can be doing. Another idea is employee insurance portability – allowing employees to take their insurance policy from employer to employer. If they like their policy, let them take it with them wherever they go. Just because it’s a bad law and the president says he’s not going to repeal it or defund it, doesn’t mean we need to keep a bad law. I think we need to keep moving in that direction. You have made your views on gun control very clear. You have prominently used guns in your campaign ads .You’ve also been getting attention for calling the recent shootings in Santa Barbara “an unfortunate accident” on KCCI television. In the wake of that tragedy, and with so many other mass shootings in this country, do you see a role for the government in preventing gun violence in the future? First, I need to clarify. When I said “accident” last night, I meant to say incident. That was during a rebuttal that I had said this was a “very, very terrible tragedy.” It was. This was a horrible incident. I said the word “accident,” but that’s not, obviously, what I meant. This was a horrible situation for those families that were involved. However, I still stand by the Second Amendment. I think that as law abiding citizens, we still have Second Amendment rights, and I’m going to defend those rights. No, absolutely no regret with my ads. They highlight me taking aim at Obamacare, which is something that we talked about. It, again, highlights the fact that I am an adamant Second Amendment supporter. To answer the question, do you see a role for the government in preventing gun violence in any way? Well, when it comes to gun violence, there are bad people who are going to do bad things. Again, stricter gun control for law-abiding people is not the answer. Nearly every candidate, especially in this GOP primary, says they want to cut down government waste and bring down the deficit. Name a program or a department that you would cut and why. I think we could start with the IRS. We have such a huge, dysfunctional tax code and it has made it hard to do a person’s taxes in an individual tax situation. So, I think we can work to eliminate the IRS and we do that by making our tax codes fairer, flatter, or simpler. Given your background in the military, are we spending enough on national defense? At the current time I don’t know if we’re spending enough. What concerns me is the overwhelming cut that has been proposed to the Department of Defense that has been proposed within the current administration. Dropping our troop levels within the army to pre-World War II levels is not the right answer right now. We still live in a very dangerous world, and I believe that when we have a very strong United States military, the world is a more peaceful place. Every department out there can find ways to cut. I know that within the Department of Defense budget there are probably some areas that could be cut, but we absolutely have to do it in a judicious manner. Immigration reform is an issue important to Iowa, but it has stalled in Congress. What immigration reforms could you support? Before we start talking about changes in the law, what I feel we need to do is secure our borders. If we’re not securing our borders, we don’t know that anything else is working. Second, enforce the laws that are on the books. Right now we don’t enforce laws that are out there. Even if we would implement immigration reform, put new laws on the books, who says we’re going to enforce those laws? We don’t enforce what we have right now. So, I do think it’s important to secure the borders, enforce the laws that we have now, and with employers enforcing the laws, perhaps through programs like E-Verify. According to figures from NASA, 97% of climate scientists agree that climate warming trends over the past century are very likely due to human activities, and most of the leading scientific organizations worldwide have issued public statements endorsing this position. Do you believe the science that climate change is happening and it is very likely due to human activities? I haven’t personally seen those reports, so I don’t know that climate change is mainly due to humans. I do know that, as someone who does want to protect the environment, there are things that we as individuals can do. Climate change that we see over the history of the Earth changes periodically all the time and is all of that due to humans? I don’t know that. I can see the argument in either direction, but if you look at the United States, we are such a small percent of any pollutants that are going out into our air or water. Do you believe that the government should do anything to act on climate change? I believe that individuals can take their own steps to protect the environment. Again, the United States is such a small contributor when it comes to the world’s pollution issues. I think this is probably more of an international issue. Democratic Congressman Bruce Braley and Republican State Senator Joni Ernst squared off in their final debate for Iowa's open U.S. Senate seat at Morningside College in Sioux City Thursday night. Braley and Ernst were asked to clarify their stances on fixing social security. Social Security's trust fund is projected to run out in about two decades, potentially reducing Social Security benefits by as much as 25%. Congressman Braley wants millionaires and billionaires to pay the same portion of earned income into social security as less wealthy Americans. 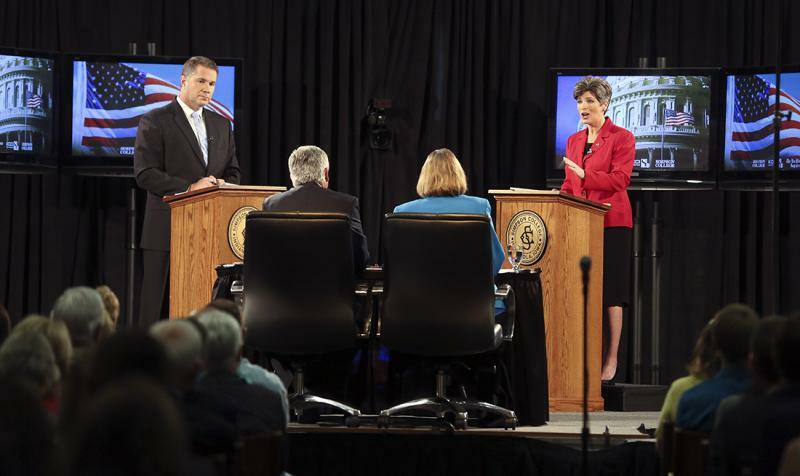 The topic of out-of-state money flooding Iowa's airwaves featured heavily in Saturday's U.S. Senate debate.